The Indigo Quill: Happy Youth Media Awards Day!!! Happy Youth Media Awards Day!!! It's one of my favorite holidays in the bookmosphere...the American Library Association's Youth Media Awards! I was up bright and early with other book lovers who weren't able to make it to the ALA Midwinter Conference this year...but we had a pajama party and watched the live webcast. Thanks to ILoveLibraries.org for connecting us who were #ALALeftBehind! 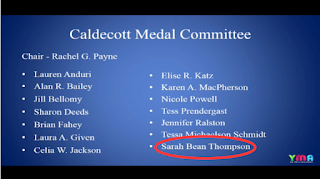 Also, a special shoutout to my friend and former colleague, Sarah Bean Thompson from Green Bean Teen Queen who served on the Caldecott Committee this year. I'm so proud of you! ALEX AWARDS for the 10 best adult books that appeal to teen audiences. SCHNEIDER FAMILY BOOK AWARDS for books that embody an artistic expression of the disability experience. 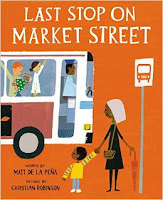 STONEWALL BOOK AWARDS - Mike Morgan & Larry Romans Children's & Young Adult Literature Award given annually to English-language children's and young adult books of exceptional merit relating to the gay, lesbian, bisexual and transgender experience. CORETTA SCOTT KING AWARDS which recognizes an African American author and illustrator of outstanding books for children and young adults. 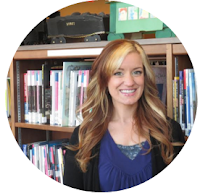 WILLIAM C. MORRIS AWARD for a debut book published by a first-time author writing for teens. PURA BELPRÉ AWARDS honoring a Latino writer and illustrator whose children's books best portray, affirm and celebrate the Latino cultural experience. MAY HILL ARBUTHNOT HONOR LECTURE AWARD recognizing an author, critic, librarian, historian or teacher of children's literature, who then presents a lecture at a winning host site. 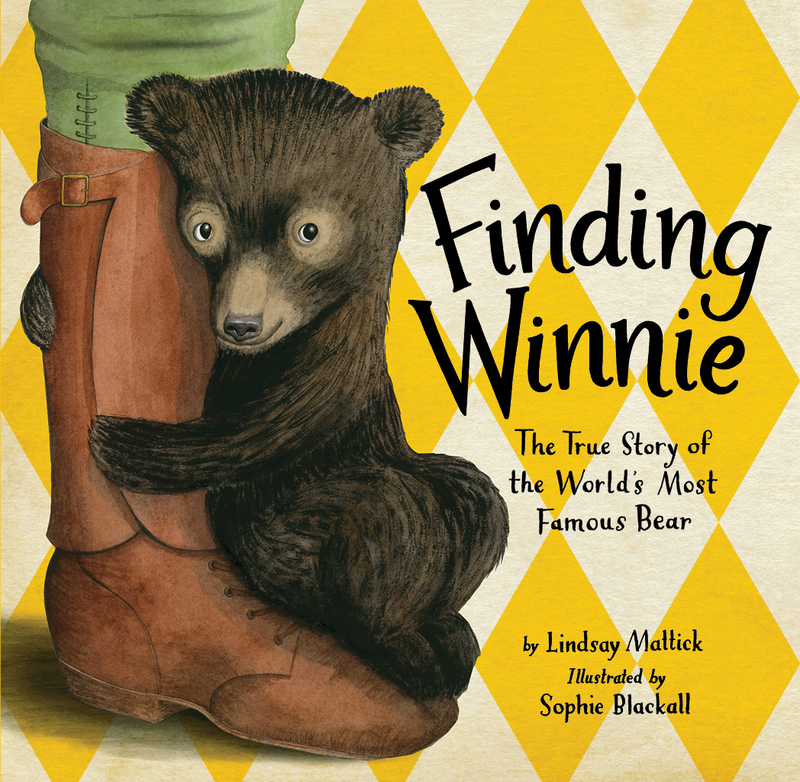 MILDRED L. BATCHELDER AWARD for an outstanding children's book translated from a foreign language and subsequently published in the United States. 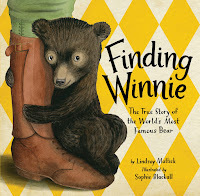 ROBERT F. SIBERT MEDAL for most distinguished informational book for children. 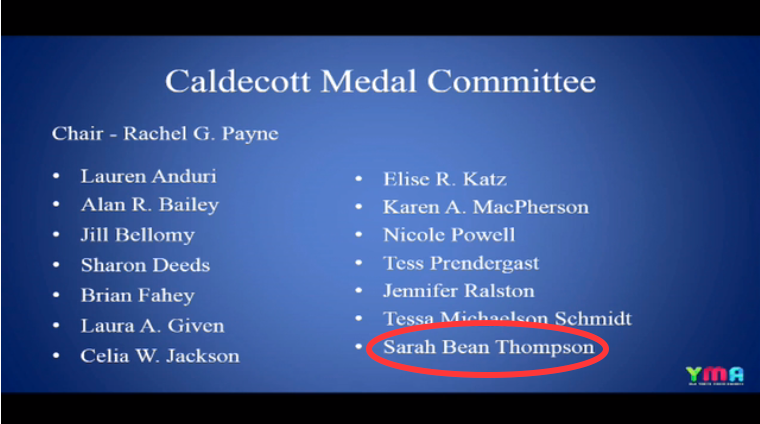 ANDREW CARNEGIE MEDAL for excellence in children's video. That is NOT a Good Idea! by Mo Willems, produced by Weston Woods Studios, Inc.
CALDECOTT AWARD for the most distinguished American picture book for children. 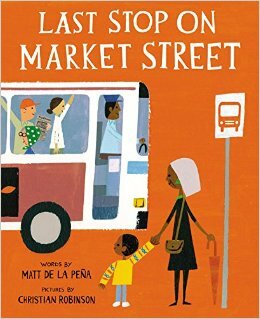 NEWBERY AWARD for the most outstanding contribution to children's literature.